The Massachusetts Special Commission on Online Gaming, Fantasy Sports Gaming and Daily Fantasy Sports has been holding meetings in recent time on looking into the potential for online gambling to be made legal in the state. It has been extremely difficult in recent time to try and make any progress within the state to make it legal. Daily fantasy sports are legal in the state but that legality has limits as the move is to be held until July 31, 2018 in accordance with an economic development bill the state passed last year. Early on this year, SD 618 was introduced as a bill to try and make online gaming legal in Massachusetts. It has been designed with a specific setup that could be rather intriguing and vital in terms of how the industry is to grow and work. SD 618 has been promoted as a bill that when passed would make it easier for people to enjoy online gaming. However, the bill does not have information on licensing processes or even on how future taxation or regulation functions will be organized. The Special Commission has nine members and has been aiming to try and get the online gambling industry to be accepted in Massachusetts. They have not only supported many developments in the field but also have supported giving the Massachusetts Gaming Commission the right to monitor and review products in the industry. Such moves are being organized to aim to get more out of the process of bringing gaming activities into the state. Individual members within the Special Commission are being encouraged to make their own specific recommendations over how the bill can be passed. An additional public hearing is slated to be heard before the end of July in the hopes of coming up with new ideas for getting the bill to move forward and be easier to pass and resolve. Even with such a move in mind, it may be difficult for the Commission to go through any actions to try and make gaming activities legal before the year runs out. The commission will have to act before the 2017 session of the Massachusetts government meetings run out. There will not be all that much time for doing so when the current schedule is considered. Members of the MGC have been hoping that some more detailed and specific reports are to be produced in the future. These include more detailed reports which would focus on more in depth information that would be a little easier to follow. A broad approach is also being promoted. Such a move could help with creating a more general approach for getting gaming to become legal within the state. The possibility for such a move to work could be dramatic although it is difficult to figure out what might happen and what can come about within the industry. 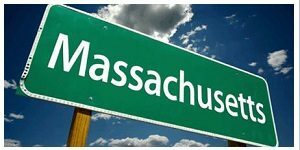 The moves in question are all being promoted in the hopes of trying to get online gambling activities to become legal within Massachusetts. People will have to look for how different changes might come about over time. US online casinos on this page.